US President Donald Trump has decided to withdraw the United States from the 2015 Paris climate accord, after months of heated debate among members of his administration. More than 190 nations agreed to the pact in December 2015, pledging to hold average global temperatures to 1.5–2 °C above pre-industrial levels. The president added that “as of today,” the United States would stop implementing its Paris pledges, including contributions to the Green Climate Fund to help developing countries deal with the effects of climate change. But Trump also pledged to “ensure that the United States remains the world leader on environmental issues”. The mechanics of the US exit are complicated. The terms of the Paris agreement prevent the United States from withdrawing from the pact for four years, which means that the final word on US participation would not come before November 2020 — around the time of the next presidential election. Meanwhile, the United States remains a party to the United Nations Framework Convention on Climate Change (UNFCCC), the foundational agreement under which the Paris accord was negotiated. This means that the country is likely to participate to some degree in international climate talks, just as it did when former President George W. Bush pulled out of another global climate pact ― the 1997 Kyoto Protocol. In a statement, the UNFCCC said that the Paris agreement “cannot be renegotiated based on the request of a single Party”. European leaders have been urged to scale up their efforts to tackle climate change as it emerged the EU does not intend to make extra emissions’ cuts to fill the gap left by the withdrawal of the US from the Paris agreement. At a summit with China in Brussels last week, the EU responded to the decision by Donald Trump to pull out of the historic 2015 pact by vowing to take on a leadership role in the fight to halt global warming. It will instead encourage US states, corporate giants and civil society to do their bit to tackle global warming, it is understood, in the hope that future White House administrations will reverse Trump’s decision. A planned joint EU-China statement on increasing cooperation on climate change has yet to be published. It is understood that differences between the two sides during trade talks had stalled the signing off of the communique. The European commission vice-president for the energy union, Maroš Šefčovič, said in an interview with the Euractiv website that a meeting in Brussels would take place before the end of the month with all the major economies and continents being represented at the level of city mayors. It is hoped the move will encourage cities, as well as US states, to play a role in making sure the world delivers on the 2014 Paris agreement. 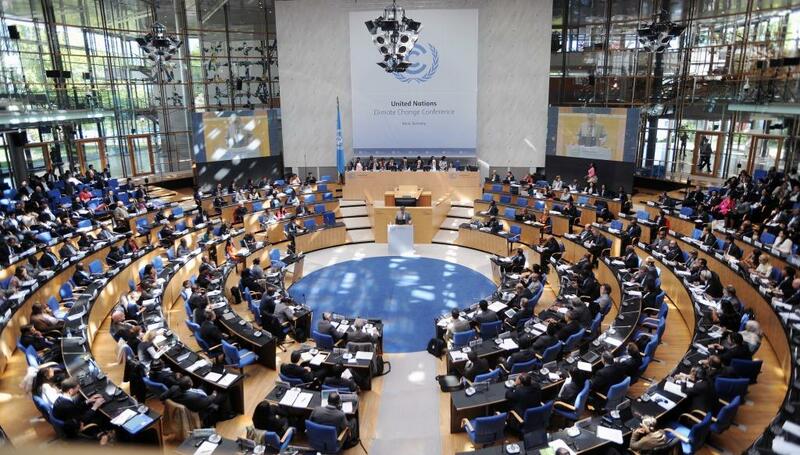 In a worst case scenario, the US withdrawal from the deal could add 0.3C to global temperatures by the end of the century, the UN World Meteorological Organisation has said. “We want to demonstrate that despite the announcement last week by the American president, our resolve on climate change is very strong, that we are going to work with all the countries who want to deliver the change, but we are also going to make sure to make platforms for the cities, for corporations, for companies, for innovators, to make sure we are going to achieve the Paris goals,” Šefčovič said. Environmental activist groups have welcomed the leadership being shown by the EU, but they called for the leaders to raise their aspirations, albeit in addition to US efforts rather than as an attempt to make good on the damage done by a lack of engagement from the world’s second-biggest emitter of carbon. The question of whether the EU would raise its targets in response to the Trump announcement on Thursday had been left unanswered, with officials claiming it was too early to offer any substantive response. Wendel Trio, the director of the Can Europe energy group, said: “The EU’s climate leadership should go beyond lip service. It requires making all EU domestic policies Paris-proof. Sally Nicholson, the head of development of policy and finance at the World Wildlife Fund’s European policy office, said: “The EU talks a good game on climate action, but can it follow through? Hours after US President Donald Trump walked out of the Paris climate accord, Prime Minister Narendra Modi today reiterated India’s commitment to reducing carbon emission and leaving an earth which is “beautiful and pure” for the future generations. Refusing to be drawn into a debate on whether he supported or was opposed to President Donald Trump’s action, Modi said he will take the side of the future generations and held the view that mankind cannot exploit nature. Later, when the moderator asked which side of the climate change debate he stood, and whether he disagreed with Trump’s stand, Modi remained diplomatically neutral. “I have in simple way stated the dream of ‘new India’. I quoted from 5000-year-old Vedas to say humans have a right to milk the nature but have no right to exploit it,” he told the gathering in the presence of Russian President Vladimir Putin. “We should leave to new generation an earth that is beautiful and clean,” Modi said. “It is part of our thinking and for that reason we do not believe in exploitation of the nature. We people do not have the right to take more than necessary from the nature,” he said. Hours earlier, Trump had announced that the US was withdrawing from the Paris climate change deal, which had been agreed by more than 190 nations. The US president said the agreement unfairly benefited countries like India and China. “This is because we are moving ahead as a responsible country while protecting the environment and this is our very old commitment,” he said. Modi recalled his days as chief minister of Gujarat, much before global warming was discussed or Paris agreement was even discussed. He said Gujarat was the fourth government is the world which had set up a department for environment protection. “This is our commitment, and we are moving forward based on this commitment,” the prime minister said. By distributing 40 crore LED bulbs, India has in the last three years saved energy “which will help the humankind in environment protection,” he said. “I invite you all, 125 crore people of the country are inviting you, the world’s most ancient nation is inviting you for economic development … In the spirit of ‘Sky is the limit’, I once again invite you,” he told the business leaders. India ratified the Paris Agreement (on Climate Change) on 2nd October 2016, the day of birth anniversary of Mahatma Gandhi. The Instrument of Ratification was deposited by India with the UN at an event organised in New York to commemorate ‘International Day on Non Violence’ on the occasion of Mahatma’s birth anniversary. The Paris Agreement was adopted last year on 12th December 2015 and India signed the Paris Agreement in New York early this year on 22nd April 2016. A total of 191 countries have signed to the Paris Agreement so far. As per the provisions of the Paris Agreement, the treaty will come into force as and when 55 countries contributing to 55 % of total global emission ratify the agreement. India’s decision to ratify the agreement has pushed the cumulative level of emission of countries that have ratified the agreement as on 2nd October 2016 to 51.89%. With the gathering momentum and willingness expressed by several other countries to ratify the agreement before the end of this year, it is expected that the Agreement will enter into force soon and give a thrust to the global actions to address climate change. Given the critical role that India played in securing international consensus on Paris Agreement, this step further underlines India’s responsive leadership in the community of nations committed to global cause of environmental protection and climate justice. While agreeing to ratify the Paris Agreement, India has declared that it will treat its national laws, its development agenda, availability of means of implementation, its assessment of global commitment to combating climate change, and predictable and affordable access to cleaner source of energy as the context in which the Agreement is being ratified. 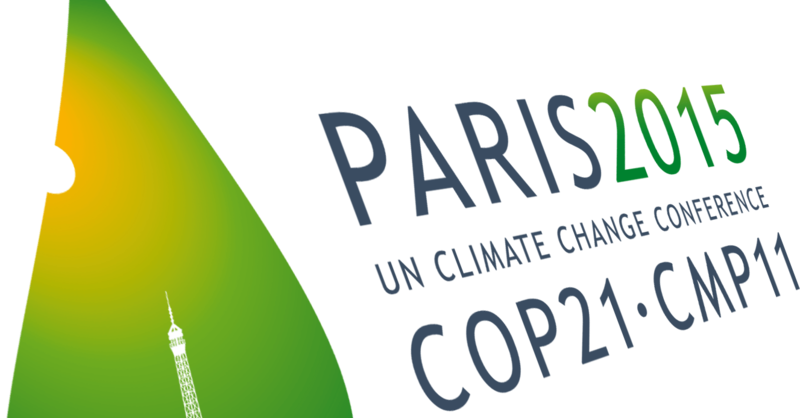 Paris Agreement pertains to post-2020 climate actions. In the pre-2020 period, developed countries are to act as per the Kyoto Protocol to the United Nations Framework Convention on Climate Change, while some developed and developing countries have taken voluntary pledges under the Cancun Agreements under the Convention. At the Paris climate conference (COP21) in December 2015, 195 countries adopted the first-ever universal,legally binding global climate deal. The agreement sets out a global action plan to put the world on track to avoid dangerous climate change by limiting global warming to well below 2°C. The Paris Agreement is a bridge between today’s policies and climate-neutrality before the end of the century. – to undertake rapid reductions thereafter in accordance with the best available science. Before and during the Paris conference, countries submitted comprehensive national climate action plans (INDCs). These are not yet enough to keep global warming below 2°C, but the agreement traces the way to achieving this target. – track progress towards the long-term goal through a robust transparency and accountability system. – provide continued and enhanced international support for adaptation to developing countries. – acknowledges the need to cooperate and enhance the understanding, action and support in different areas such as early warning systems, emergency preparedness and risk insurance. The agreement recognises the role of non-Party stakeholders in addressing climate change, including cities, other subnational authorities, civil society, the private sector and others. – uphold and promote regional and international cooperation. The EU and other developed countries will continue to support climate action to reduce emissions and build resilience to climate change impacts in developing countries. Other countries are encouraged to provide or continue to provide such support voluntarily. Developed countries intend to continue their existing collective goal to mobilise USD 100 billion per year by 2020 and extend this until 2025. A new and higher goal will be set for after this period. Dassault Rafale update : Air Force declines to share details on Rafale deal.